Use PROMO CODE CIIS10 to get a 10% discount off your purchased tickets! Click here for tickets! 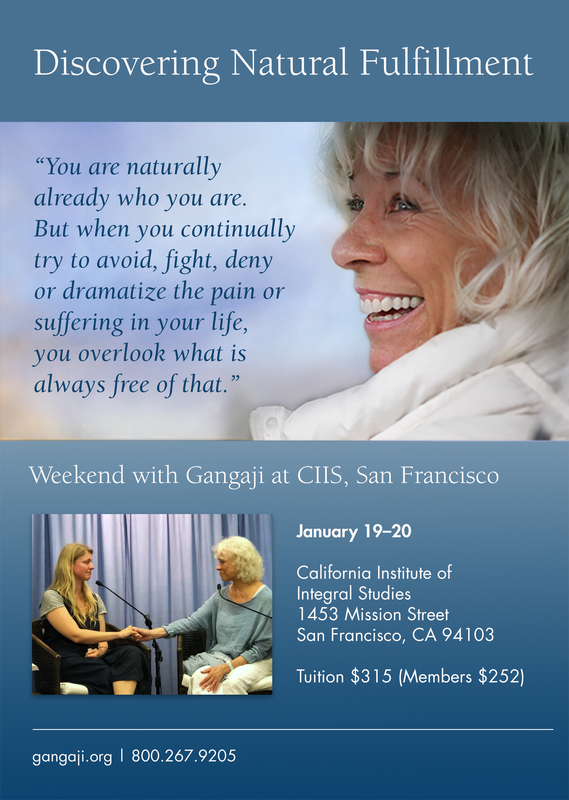 During our weekend together at CIIS, Gangaji will speak to the real consequence of overlooking who we truly, naturally are. 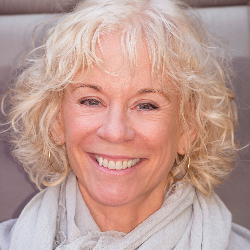 When we misidentify or define ourselves based on our thoughts, emotions, senses, and circumstances, we get caught in a painful trap that Gangaji calls “the story of me.” When our stories revolve around simply accumulating more pleasure or avoiding pain, they become shallow and disappointing. When we are willing to simply stop searching and avoiding—even for a moment of time—we naturally discover the peace of beingness. With the clarity of seeing exactly how we misidentify, we have the opportunity to end our habit of personal suffering and instead, live lives of depth and natural fulfillment. To register for this event, please click through to the event page at California Institute for Integrative Studies.